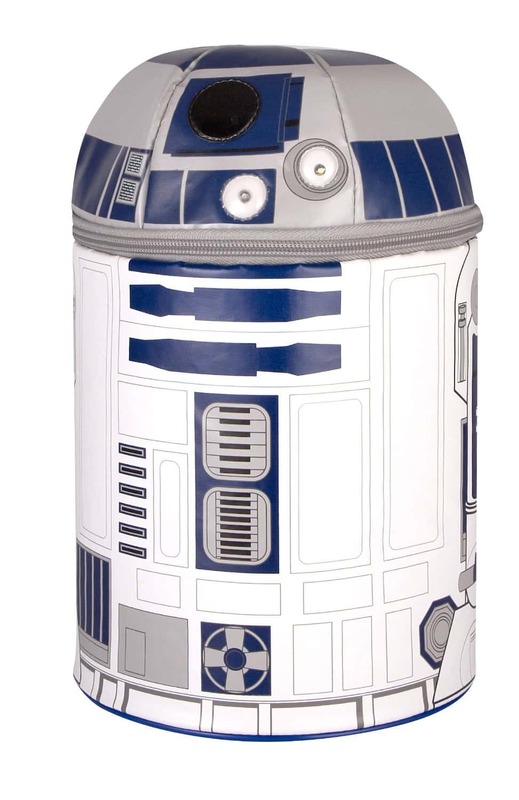 This super cool Star Wars Thermos Lunch Kit is sure to make you the envy of the playground. Or the most stylish person in your office! A great back to school or work gift that will remind someone how much you care every time they have lunch. As their friends gather around to admire their awesome lunch kit they are sure to feel like a legend! 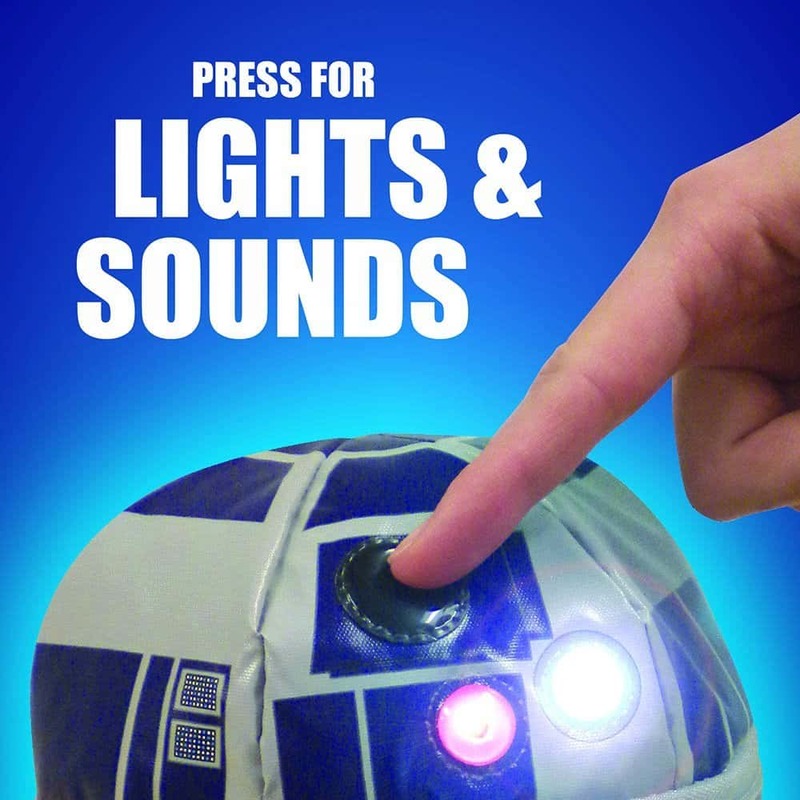 The Star Wars R2D2 lunch kit comes complete with lights and sounds. Also a fantastic way to reduce waste by cutting down on materials that you use to pack lunches. It is 100% PVC free and features peva lining. 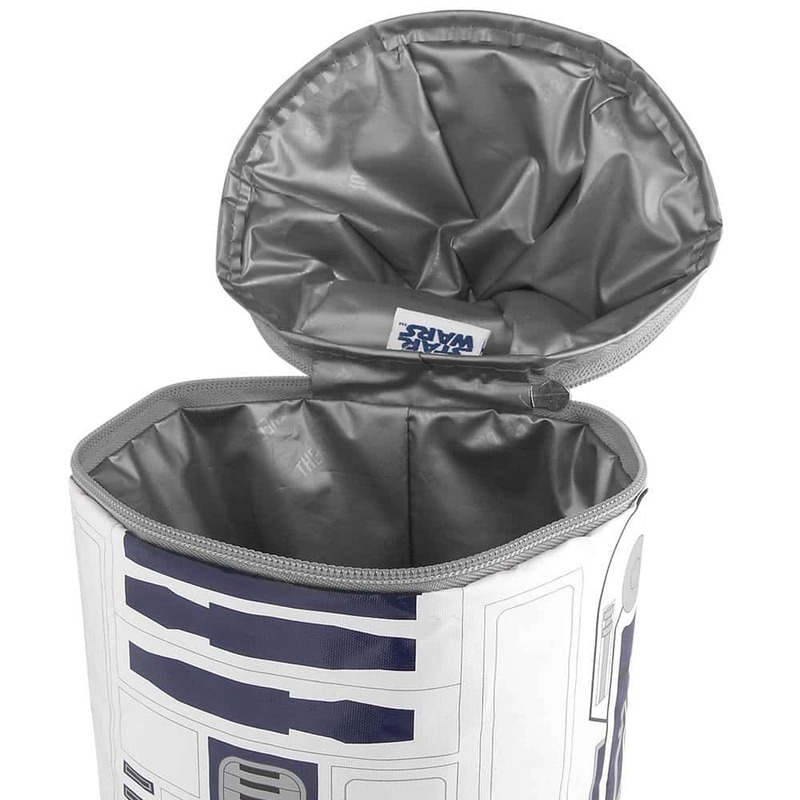 Perfect to keep lunches cool and fresh for as long as needed. As well as been the coolest lunch kit ever this is also a superior quality item. It features closed cell polyethylene foam insulation and high quality printing.